Back when 3D printing started to became a commercial technology, it was considered a bit too unreliable for medical or sophisticated engineering applications. That is what made the jewelry industry one of the foremost to embrace the technology and utilize its benefits. Over the years, the technology has improved and 3D printing is now used not just for prototypes and molding, but also to create actual pieces of unique jewelry out of various materials. 3D printing is now so popular in the industry that even high brands and designers are using it to create jewelry they never could before. One of the prime examples is Jenny Wu’s LACE jewelry collection that created a stir in the fashion jewelry industry in 2014. There are speculations that in a few years, 3D printing will take over the industry replacing most of the usual methods. There are a number of reasons jewelry makers are turning towards 3D printing technology. Here are just a few of the advantages that prove that 3D printing is definitely the future of jewelry making. Precision is precisely one of the first few problems that made the industry make a switch towards 3D. Since each and every aspect is professionally designed on CAD, there is simply no chance of a slightest difference in measurement or dimension. The result is delicate and beautiful jewelry that showcases perfection. Very few jewelry makers have the accuracy and experience to use their tools up to their full potential. Perfecting this art takes time and even using those tools perfectly requiredays and even weeks to create a single piece. With 3D printing, it’s just your imagination and our 3D machines. As we just discussed, creating exceptionally beautiful jewelry is time consuming with traditional methods and tools. 3D printing cuts down the time almost magically. Even the most complex of designs may just require a few hours. Jewelry designers never fail to impress, but there is a limit to how creative they can get with the design. The more complex the design, the higher the cost and the more time it will take to create - but not with 3D technology. You now have the freedom to dream because we have the technology to realize that dream. 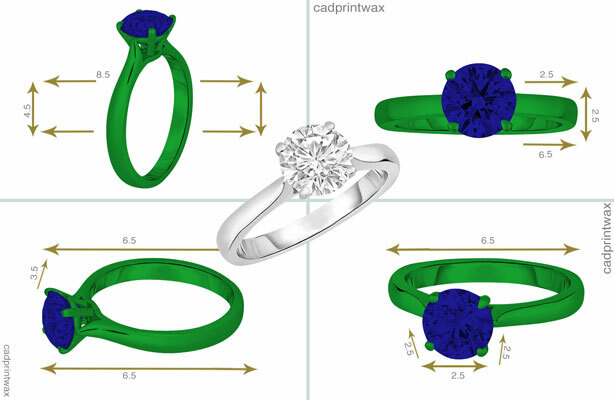 At CAD PRINT WAX, we want jewelry designers and manufacturers to challenge their own imagination and create designs that were never possible before. We promise the highest quality material and the lowest turnaround time along with immense cost-saving. The only thing that takes time is shaping your imagination on CAD. However, we are proud to have a team of professionals who are talented, dedicated, and agile. We promise a service faster than our competitors. We use the most advance equipment, material, and expertise to make sure you get the most out of your investment in 3D printing.Â Our quality also lies in our commitment to the environment. You can trust us for using eco-friendly green material with the lowest carbon foot print. So, if you want to experience the true magic of 3D printing in jewelry making, CAD PRINT WAX is the expert you can rely on. Give us a call and let us tell you more about what makes us your best bet. Our Jewelry CAD/CAM designing and printing gives you the power to execute the most elaborate of designs without any mistakes whatsoever. With our jewelry rendering and wax model making services, you can see your design in its entirety and get the customer’s approval before re-creating it in precious metals. 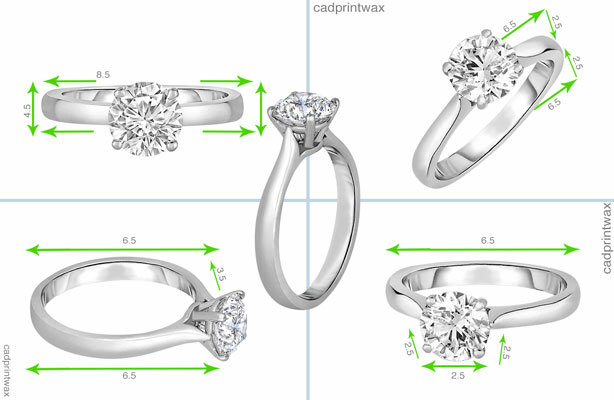 We offer these 3D jewelry designing and printing solutions based on your ideas and 2D designs, using the latest CAD/CAM software systems that are capable of presenting 3D solid and surface models.